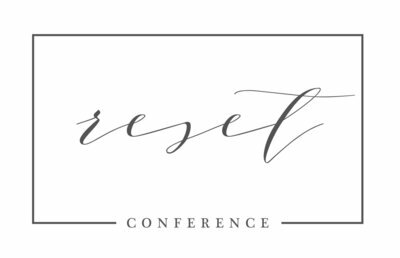 Emily Moore will be speaking at Reset 2018 on the topic of Finding Your Identity. She is the owner, writer and videographer for Moore Media Group, and she also writes on her blog at One Moore Emily. We are excited to learn from her in April 2018! I’ve never felt like a runner. Not a real runner anyway. Running was just something I did to clear my head. Or stay in shape. Or be alone for just a small block of my day. But I was not a real runner. Real runners ran marathons and tracked their distance and pace and heart rate and calories and whatever other statistic you could possibly track while running. They bought special shoes and socks and headbands and sports bras. Real runners suffered shin splints and lost toenails and chafed in unspeakable places. But not me. I was not a real runner. Because recently, I ran my first full marathon. 26.2 miles. And I tracked my distance and my pace and all the other things. I bought special shoes and socks and clothes. I chafed in all the places and even nearly lost a toenail. I spent four months training. Over the course of those four months, I ran hundreds of miles. I ran early in the morning or late at night or when it was hot or when it was cold or in the rain or when I was on vacation or when I was just tired and grumpy and didn’t want to do it. I did the work, so I could be a runner. But you know what? I am still not a runner. When I crossed the finish line and the crowd cheered and a kind volunteer put a medal around my neck, I thought I would feel like a runner. I still just felt like me. And then I started thinking of all of the other things I am not. I am not a writer. Real writers have published books and get paid money to string words together and drink whisky in a remote cabin in the woods with their cat named Felix. They wear glasses and spend their spare time reading Dickens and Tolstoy and don’t need to reference a thesaurus to think of a better word. Real writers sit at their desks for hours on end, missing meals because they are so immersed in the words flowing from their fingertips. They have strokes of genius in the middle of the night, and get out their laptops to capture the mad thoughts. They take calls with publishers and travel around the country for book-signings and speaking engagements, all while constantly working on their next best-seller. No, I am not a real writer. I am not a business owner. Real business owners wear pantsuits and hold boring meetings just to talk about other boring meetings. They drive expensive cars and don’t answer the phone because they are too busy doing business owner things. 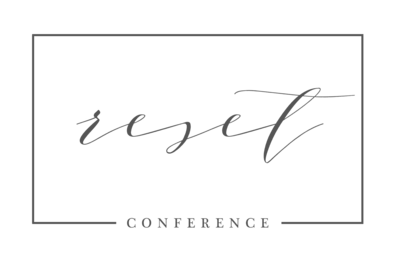 Business owners set up conference calls and attend seminars. They have people who work for them that do all the things they don’t want to do. No, I am not a business owner. Why do we think this way? Are we waiting for some officially official, notarized certificate to arrive by owl from Hogwarts deeming us real and giving us authority? Do we need someone to put a stamp on our foreheads that reads “runner” or “writer” or “business-owner” or whatever you want your stamp to say? Are we hoping someone – anyone – will verify us and tell us we are valid? Those things aren’t going to happen. I mean, the stamp on your forehead might, but then how annoying would that be to wash off? We have to stop waiting for validation. I’ve been thinking a lot about this since my race and have had a few conversations with some people much wiser than I, and I have a new theory. I think we know we are the things (runner, writer, business-owner – whatever), we are just afraid to say it aloud. Saying “I am a runner” or a writer or a business-owner opens me up to worlds of disappointment. Because if I am not those things – if I am just me goofing off and playing around and not really committing – then if I fail I have nothing to lose… because I never really cared. But if I actually care – If I put my heart and soul and determination and focus into the thing, if I put forth my very best effort and invest my time and money and energy trying – really trying – and it doesn’t work out… then I am a failure. And I do not want to be a failure. But maybe being a failure isn’t the worst thing in the world. Maybe we need to fail sometimes because failing means we tried. It means we committed. We cared. And maybe that’s not a total failure after all. So be the thing. Whatever it may be. I run, so I am a runner. I write, so I am a writer. I own a business, so I am a business-owner. And if I fail, then I will learn from it and go be something else. Because there are worse things than failing. Like not trying at all. You can follow Emily’s work on Instagram, Twitter, and Facebook.